1. It is David's favorite hymn. 2. It is the hymn our family and friends all sang together at our wedding. 3. It is the theme song of the college we attended in Chicago: Moody Bible Institute. It was sung at many school functions and, let me tell you, hearing the echoing voices sing this hymn in a large auditorium, or at Moody Church, is something neither of us will ever forget. What an encouraging verse! 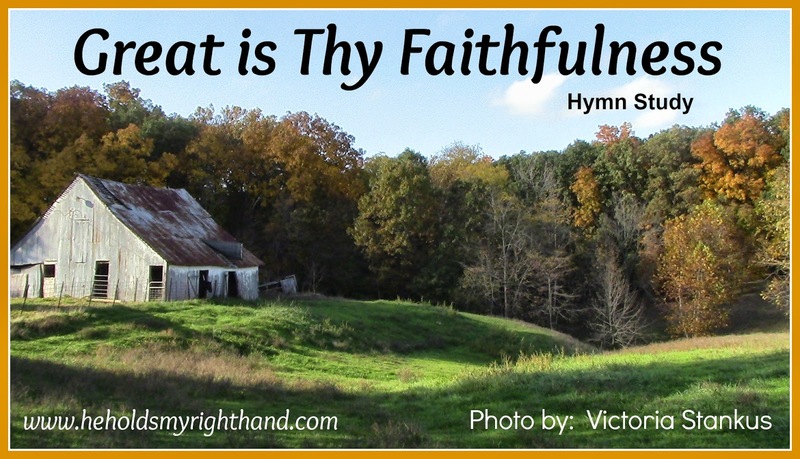 It tells us how loving our God is, and how faithful He is to those who trust in Him. It tells us our God cares about us, and will bless us on a daily basis, if we only take the time to look for those blessings. Great words. I can see why you like it.